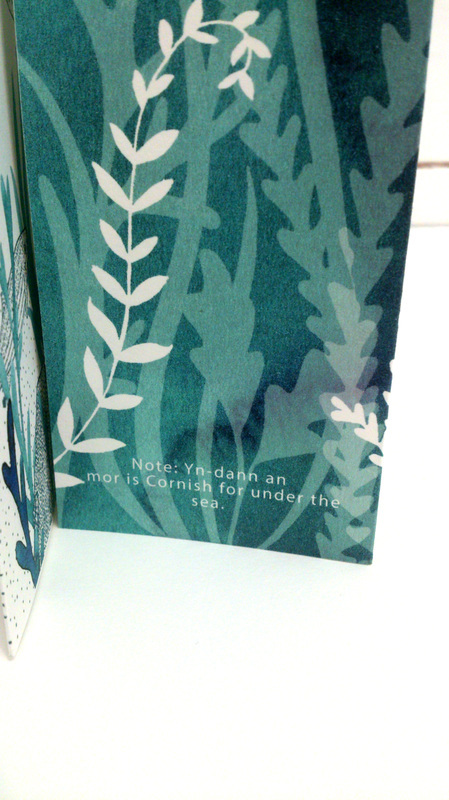 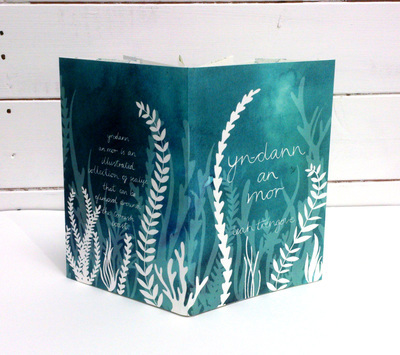 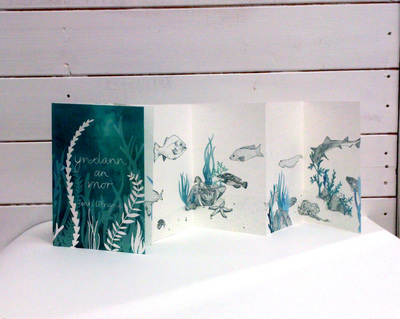 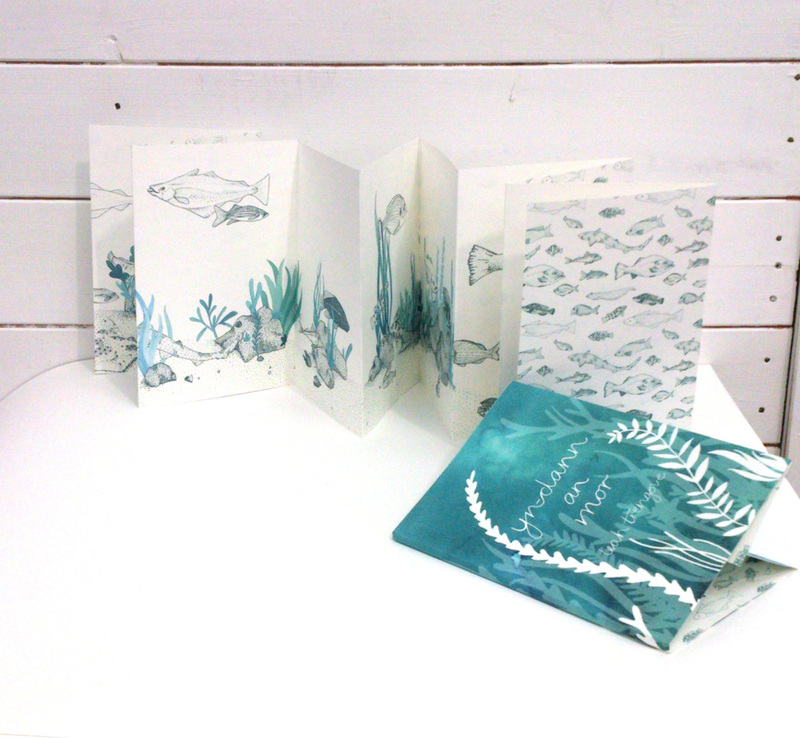 Yn-dann an mor or Under the Sea is an illustrated concertina depicting the kinds of sea life which lives in the sea off the Cornish coast. This inspired by the book cover for the folk-tale 'The Mermaid of Zennor' that I designed earlier in 2014. I am hoping to get a run of these printed in the near future.